Live Your Dream! Learn to Dance Hip-Hop Like a Pro from One of the World’s Best Dance Instructors – Quickly & Affordably in the Privacy of Your Home! 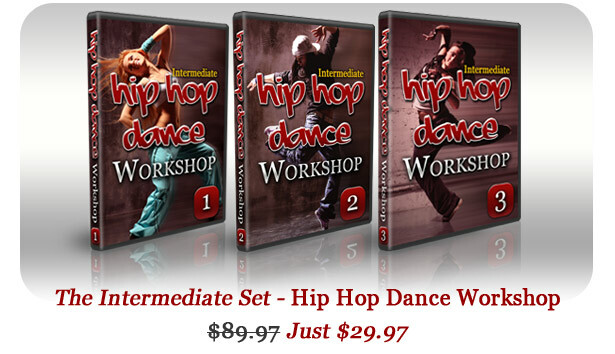 The Affordable Hip-Hop Workshop Videos That Dancing Schools Don’t Want You To Know About! 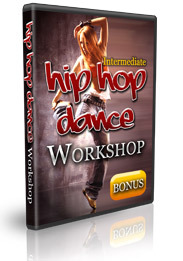 If You Have Ever Wanted To Learn How To Dance Hip-Hop, This Is The Best Instant Download Video Series You Can Possibly Own! Never Before Has It Been So Easy, And So Affordable! Do you REALLY want to learn how to dance hip-hop? Have you been scouring the Internet looking for videos? Are you frustrated with not making faster progress? Have you not yet found the right teacher, the right moves, at the right speed that work for you? Perhaps your dream of starring in a music video, showing your moves on MTV, and need some routines that would make an excellent audition tape? if you answered ‘yes’ to any of those questions, then you are in luck! If you are looking for the best source of Hip-Hop dance instructional videos, you’ve just found them! The hip-hop dance phenomenon has swept the planet. From India to Brooklyn, from Saudi Arabia to Russia, everyone wants to learn how to dance hip-hop! But few actually DO LEARN! Why? Because, until now, there has not been a fast and easy way to learn. Unfortunately, most regions of the world do not have hip-hop dance classes or schools. Unless you live in a large modern city, you probably don’t have access to dance schools that teach hip-hop dancing. And even if there are schools in your area, they usually cost hundreds of dollars to attend classes. Not only that, but you have to make your personal schedule work around their set class schedule, and that works for very few people. I know this is frustrating. When you have a passion for dance, NOT being able to learn it and practice it is heartbreaking. Trust me, I know the feeling. My name is Mor Barr, and before I opened my own dance school, when I was just learning how to dance Hip-Hop, I really had no one to learn from. I would record music videos, and watch them over and over again, trying to break down the dance into combinations and individual moves. It was fun, but the learn was slow. Too slow! Like you, I got frustrated with not having a good teacher. And the moves were usually too advanced for me. Are you running into that problem too? My fellow instructors and I have created a series of dance instruction videos for the average person who has had no formal dance instruction. We decided to create the world’s best series of videos that you can instantly download, and watch over and over again to learn the moves that you are so eager to dance! The result is the Hip-Hop Intermediate Workshop, which builds on the ‘Beginners Workshop’, which is available free on our website. The Intermediate Workshop is the best way for you to learn to dance Hip-Hop quickly. You will enjoy the workshop whether you practice alone, or exercise in a group- it’s incredible fun either way. The moves that make up each complete dance are high energy but suitable for any age dancer with a desire to learn! The Intermediate Workshop contains dances for all dancing levels. Of course, dancing requires practice (fun! ), and the more time you invest on learning the moves of each dance combination, the better results you’ll see! Each dance lesson is produced and filmed in my professional dance studio, and are guided by myself and Leon Kravits, an excellent street Hip-Hip dancer and coach. Though the instruction and production of these videos are the best of their kind, we want you to see and understand that anyone can learn to dance Hip-Hop, so each video of the Intermediate Workshop is filmed with two of my actual studio students, neither of whom at the time of shooting had very much dance experience. They are the proof that anyone can perform these lessons. It is not difficult to learn how to dance hip hop, and yes, you can look great while learning! You’ll have fun and get in great shape in the process. Why downloadable videos? Because downloadable videos have so many benefits! Are You Shy or Self-Conscious? Not Ready to Reveal Yourself Yet? First of all, many people are too shy to dance in public unless they have some strong dance moves to show off. No one wants to be in public going through that awkward beginning phase when you are just learning. That is a completely normal and understandable feeling, and downloadable videos solve hat by allowing you to practice in complete privacy. Once you learn a few combinations, then you can be seen dancing in public, but until then, many people, maybe even you, want to keep it private. You get to decide who gets to see you dancing, when, and where! Downloadable videos also allow you to practice whenever you have just a few moments of spare time. You can practice for as little as one minute, whenever you have the time. You don’t have to worry about fitting a dance class into your schedule. Now you can take the dance class with you wherever you go, especially if you burn the video to a video iPod or similar device, you can even watch them on trips or during travel time. No other format is as convenient. Not only do you want the convenience of watching the videos in your own room, living room, dorm room, friends garage, – wherever you may be, but more importantly, you want them to be affordable, and you want them to actually teach – quickly. Downloadable videos are also the most affordable dance instruction format, but we’ll talk more about that later. At this point you probably just want to know if the videos are right FOR YOU, and if the teaching style works for you or not. A picture is worth a thousand words, and so the best way for you to answer this question for yourself is to show you clips from the video series. The series is actually three videos, each with one dance, and each dance is broken down into combinations, and then further broken down into individual moves. That looks like a blast, doesn’t it? Are you fired up and ready to learn now? When you really want to learn how to dance, you need a teacher who understands your ability level, understands your passion, and most importantly, loves teaching. Your dancing dreams can become a reality in just a few short weeks – with the right teacher. There are a lot of good dance instructors out there, and I can only speak for myself. But it truly is my passion to bring hip-hop dancing to as many people as possible, and provide the right combinations to help you build a strong dance foundation. Think about this – every dance is made up of a series of dance combinations strung together into a long sequence. Each combination is made up of a series of specific moves. You learn moves one at a time. Learn one per day, or a dozen per day, depending on how much time and energy you have to spend dancing. Unless you learn the moves, one at a time, you won’t be able to put together a solid combination, and you won’t be able to dance an entire dance, and if you want to amaze people with your dancing, you need to learn the entire dance. But learning an entire dance is normally difficult, but we break each dance down into the individual moves, and you will learn each of them one at a time, so that they all join together smoothly. When you start the Beginner’s Workshop then you will see what I am talking about. You will learn new moves, new combinations, and entirely new dances! An Affordable Hip-Hop Dance Video Series! You want to learn hip-hop dancing without spending your last dime. If you were to go to a dance school, you would pay at a minimum two or three hundred dollars to learn what you will learn from the Intermediate Workshop. Probably a whole lot more than that! On the other end of the spectrum, there are very low quality hip-hop dance DVD’s out there, but most of the time, they are aerobic routines, not serious dance instruction videos. The few that are good quality hop-hop dance videos are worth looking into, but most of them are too expensive. Until now, it has been difficult to find hip-hop dance instruction that is both high quality, taught at the level you need, with an instructor with a strong dance background, and that has a money back guarantee (More on that later), all at a very reasonable price. Another big problem with DVD’s is that the DVD’s have anti-piracy encoding so that most of the affordable ones you find won’t play on a DVD player outside of the United States or Canada. What a hassle! Not to mention that not everyone has a DVD player where they want to dance. If you do have a DVD player, you can certainly burn a copy of your Intermediate Workshop and play it wherever you like, but I very intentionally wanted these video to be downloadable so someone can play them wherever they have a laptop OR DVD player. You can even rip them to your video iPod and learn from that! Convenience is the name of the game, because if it is not convenient for you to practice, unless you are highly motivated, you probably won’t! So I wanted to remove as many excuses as possible, so you too can start learning FAST. You will probably start sharing your moves with your friends after just one lesson! You know that feeling of learning a dance move, practicing it a few times, and feeling like you understand and “got it”!? There is no better feeling in the world, and when you get that feeling, you won’t be able to keep it to yourself! You know, dancing is an expression of life, and expressing our creative energy is why we are all here in the first place. I can’t think of a better use of a person’s time or energy than to learn how to dance, and express yourself. If you feel like I do, then you probably feel that time not dancing is just “killing time” between dances! Get more out of life by dancing! Warm-up routines. You know how to stretch and warm-up already, and we won’t waste your valuable time and money showing you things that you already know. But warming up is essential, don’t forget it. Too much talking. The only talking that needs to be done in a dance instruction video is actual instruction, otherwise it’s time that could be better spent learning to dance. There is not talking just for the sake of using up time. We get right to it! Advertising – unlike some other dance videos, which are really just thinly veiled advertisements for other dance products, these videos are ADVETISING FREE, to keep you on track, focused, learning to dance, without trying to “Sell you” something you don’t want or need. If you are ready to start learning how to dance like that, then I am ready to start teaching you how! Lets get started! The Intermediate Workshop is actually made of 3 distinct Dances, with one dance per video. Each video has everything you need to learn that dance: the music, the steps broken down move by move, with me, Mor Barr, explaining to you what you need to know. 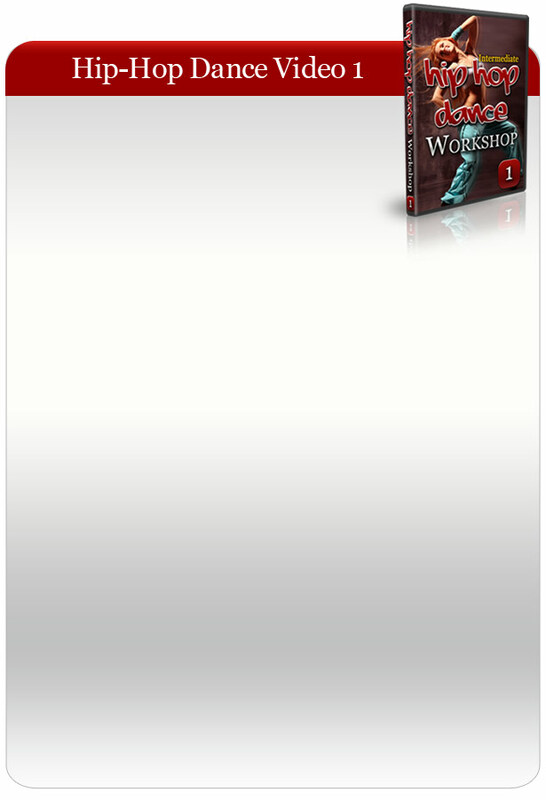 There are three videos that make up the intermediate workshop. Don’t let the quantity full you, they are dance packed videos that will neither overwhelm you, nor leave you wanting more. To make it as easy as possible for you to get started, I have put together a package that I think you’ll really enjoy and that will truly help you become a much better hip-hop dancer in as little time as possible. level you are at, you will find it fun and challenging. students present in the videos learning along with you. The steps in the videos are presented in sequence, and are ordered based on coordination levels: every dance session starts with easy steps and gets more complex as it progresses – more complex transitions and compositions. Though the later dances get more complex, you will see that they incorporate the basic elements of the hip hop dances that you just learned. Your skills will build and get more complex right along with the video. How incredible will you feel when you have this dance down? Our school is full, downloading this video series is the ONLY way you’ll be able to learn this dance from Mor! The video says it all, this is a fun dance that you will have a blast learning! This video is also approximately 15 minutes end to end, but that’s not how you’ll learn. When you have an audition that you want to nail! If you happen to be a dance instructor, you will enjoy fascinating choreography and new movement material in that you can use in your dance lessons. taught by world-famous street dancing expert Leon Kravits. diverse hip -hop and breakdance routines. acrobatics and the transition steps. Leon is an incredible teacher, and he will show you everything you need to know to step through this entire dance! Don’t worry, he will make it easy for you to learn these moves! I think you will agree that these are three incredible videos that will help you to become a better dancer, even good enough to where you can make an incredible audition tape that will “wow” the judges! These videos should retail for $25.00 each! As I mentioned, if this information were being presented to you in dance classes, you would easily spend a few hundred dollars, if not significantly more – up to $1,000 for dance classes that would teach you everything you are going to learn. If you were to learn these dances in a class or school, attending twice per week, this material would take you 3 or 4 months to learn. But of course you’ll learn as fast as possible because you can attend the “classes” anytime you want, day or night, rain or shine! As a DVD course, these videos would easily sell for $99.00-$149.00. But your budget is limited and you really want an excellent value. This is your passion and your dream, but there’s no reason you have to pay a fortune to invest in yourself, your health, happiness, and in your future. No, to make this dance instruction as accessible as possible, I rejected the DVD idea and am making these INSTANTLY DOWNLOADABLE. You could literally have them downloaded and be practicing in under five minutes from right now, no matter what time of day or night it is in your part of the world. To get these videos in the hands of as many eager dance students as possible, I have lowered the amount to the absolute minimum, starting with a very brief introductory period. If you order now during the introductory release, your investment is just $29.97! That is the best value on the best Hip-Hop dance value on the Internet! Convenience – you can practice anywhere, anytime! The eight combinations to make you look like a star! The quality of instruction is top-notch! The right format – hitting the “replay” button over and over is so easy. You can’t do that in a class in a dance studio! A fraction of the cost of studio lessons! You’ll Lose Weight and get in fantastic shape! Excellent dances for auditions or making audition tapes! You’ll enjoy practicing with privacy! You’re covered by a money-back guarantee! This is another breakdance taught by Leon in which you will learn all the four basic elements that form the foundation of breaking. From the Toprock through the Downrock, power moves and ‘freezes’. You will start from the easiest routines and continue to the more complex moves. By the end of this session you will become comfortable and skilled in all of the foundations of break dance – you’ll learn all basic breakdance moves and be able to perform fascinating dances. In this video you will learn more advanced breakdance moves and routines. Moves include advanced freezes, CC’s and power moves. Here we dive deeper to learn more complex moves and techniques. By the end of this session you will be able to develop your own freestyle and combine complex moves to form a professional breakdance frisk. You’ll get an incredible core workout too when you practice these videos!! A complete, professional warm-up routine. Yes, you don’t want to injure yourself, which would slow down your rapid learning of these fun moves, so we are throwing this in as a bonus! Use this warm up before you practice the instructional videos to get the most out of the dance workshop. With a proper warmup, you will practice the dance steps when your body is well warmed and your muscle will not hurt. If you consistently perform the complete warmup you will also improve your physical fitness, lose weight, and shape your body into a professional dancer’s body. This video combines a cardio workout with excises that together will improve your dancing technique. *If you are a dance instructor, you can use this warmup to create a professional dance lesson for your students! Use this warm up when you want to quick-practice the instructional videos and you don’t have much time to spend on a complete warm up, but you atill want to get the most out of the dance workshop. Hip-Hop beats to use while practicing the dance steps shown in the video series. (Mp3 FORMAT?) You get the music from the videos that you can use in your own performances or auditions! Total Value of Bonuses: $110.00! On top of all of those bonuses, we want to help you make it to the top, if that’s what you want. If you wish to get better and learn more, once you download the Intermediate Hip-Hop Dance Workshop, you will be entitled to a (25% discount) on all of our future dance video products. And you’re really going to like this: if you want to be a professional dancer and get famous, we’ll provide you the opportunity to send us links to short video of a session of you dancing the steps you learned, so we can give you personal feedback on your progress, and helpful comments you can use to fine-tune your moves! Here’s the best part; we are going to feature student videos and show (with your approval, of course) on the main page of the hip-hop-dance.net website, along with your contact information – a great opportunity to get exposed to the industry leaders. The hip-hop-dance.net website generates incredible exposure because it is watched by people in the industry, like producers of MTV clips, producers and directors of reality shows like America’s Got Talent, and the people who are responsible for auditions to movies like You Got Served, Step-Up, and others. Will you will be the next star? We’ll help make it happen! If You Are Concerned About Transaction Security – Don’t Be! Your downloads are managed through the highly respected and secure Payloadz system. Payloadz uses PayPal for processing all payments, and as you probably know, PayPal is the most trusted online transaction system, for good reason! They use 256 bit encryption to secure your transaction and your credit card data is not stored on their servers. Once your transaction is complete, you will have 48 hours to securely download your videos. Payloadz will provide you with the secure links to do so. The download speeds are ultra fast, and the files are guaranteed to be virus-free. The videos available in both WMV and AVI formats, and are viewable on a MAC or PC. 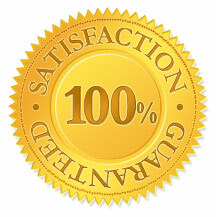 How Your Satisfaction is Guaranteed! We want you to be completely thrilled with your dance videos. If for any reason, within 7 days of downloading your videos, you aren’t satisfied, simply request a refund, it will be granted, no questions asked. And you get to keep the videos and the limited time bonuses as our way of saying “thank you” for trying. But we are confident that you will be thrilled with your videos! ever seen, at an incredible price? The total value of this package, with the limited time bonuses is approximately $199.97, but if you order today, your investment is just $29.97! But you have to act now. Get started immediately with instant download videos.